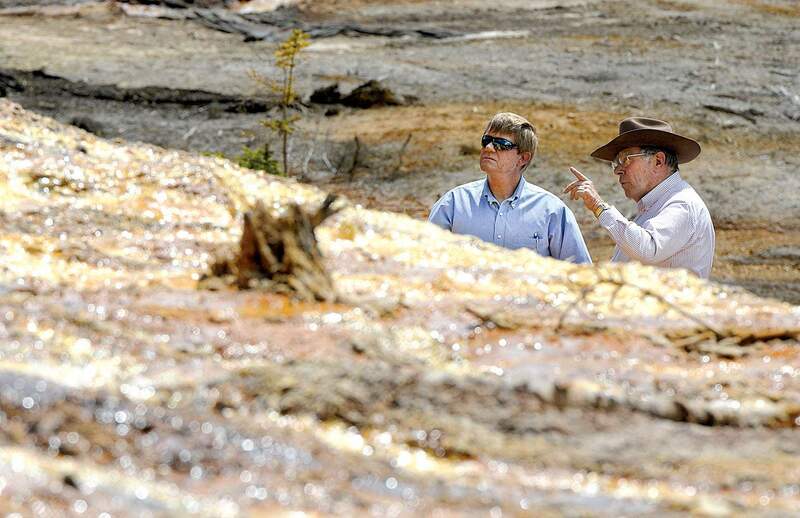 Rep. Scott Tipton, R-Cortez, left, and Steve Fearn consultant with the Animas River Stakeholders Group near the drainage from the Red and Bonita Mine. 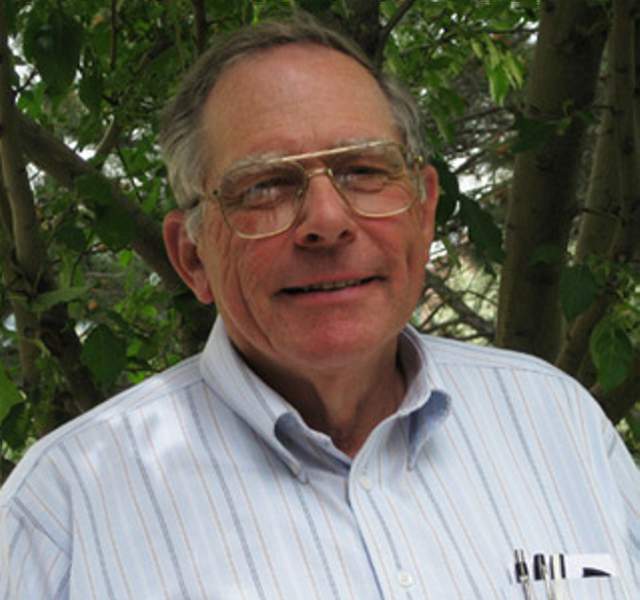 Steve Fearn, one of the founders of the Animas River Stakeholders Group who was involved with multiple water boards, and who at one time owned the Gold King Mine, died last week at his home in Silverton. He was 74. It is believed he died from a dormant strain of malaria that he caught while working at mines in Indonesia in the 1980s, La Plata County Coroner Jann Smith said Monday. An autopsy is scheduled for Thursday. “I think one of the main things about Steve is that even though he often disagreed with people, he was always looking for some common ground,” said Peter Butler, another founder of the stakeholders group. Fearn was raised in Boulder and received a civil engineering degree from the University of Colorado-Boulder, said Bruce Whitehead, executive director of the Southwestern Water Conservation District. Eventually, Fearn began his career building power plants and was one of the lead engineers for the Craig Station Power Plant in Craig and the Hayden Generating Station near Steamboat Springs, Butler said. Eventually, Fearn found his way to the Western Slope in the 1970s, working for a time at the mill for the Idarado Mine in Telluride, Butler said. However, Fearn planted roots in Silverton when he moved there in the 1970s. In the early 1990s, after Silverton’s last mine closed and issues over water quality in the Animas River watershed became a growing concern, Fearn and others formed the Animas River Stakeholders Group. At the time, many people believed the Environmental Protection Agency and the state of Colorado imposed water-quality standards that didn’t take into account natural loading of heavy, potentially toxic metals into the waterways. The stakeholders group was then tasked with drafting more realistic water-quality goals, and eventually, it evolved into a group that conducted numerous cleanup projects throughout the watershed. Butler said there was some level of conflict in the formation of the stakeholders group, as interests were divided among the mining industry and environmentalists. Former miners even circulated petitions calling for the stakeholders group to get out of town, Butler said. “He was always the level-headed voice from the mining industry,” Butler said. Steve Fearn, co-founder of the Animas River Stakeholders Group, at the Kohler Tunnel. Fearn died last week at his home in Silverton. Butler credited Fearn with taking the lead on many remediation projects throughout the years, including placing bulkheads on the Kohler Tunnel and the Mogul Mine. However, critics of the stakeholders group say the group was an attempt to delay an all-out cleanup under the EPA’s Superfund program. While the stakeholders have helped improve water quality in the basin, major pollution sources outside the scope of the group’s purview has held back any major headway in accomplishing goals, such as restoring aquatic life in the Animas River from Silverton to Durango. Fearn, over the years, was one of the staunchest opponents to Superfund, arguing the designation would eliminate any chance of mining’s return to Silverton and place a stigma on the town that would hinder tourism. Fearn himself tried to bring back Silverton’s dying mining industry over the years. In 2000, he purchased the Gold King Mine. He then attempted to get the Pride of the West mill at Howardsville, north of Silverton, back in operation. Butler said Fearn believed it was better to make mining viable in the U.S., where there is some level of environmental and labor force regulations, rather than other countries without those rules in place. “He believed you may be doing a lot more damage to the Earth by sending mining to different countries,” Butler said. However, because of a complex entanglement of lawsuits, Fearn and his mining ventures were foreclosed on around 2004. The Gold King Mine was then purchased by Todd Hennis in 2005. The EPA in August 2015 caused a mine blowout at the Gold King Mine while working on a cleanup project at the site. The spill released 3 million gallons of mine waste laced with heavy metals into the Animas River. 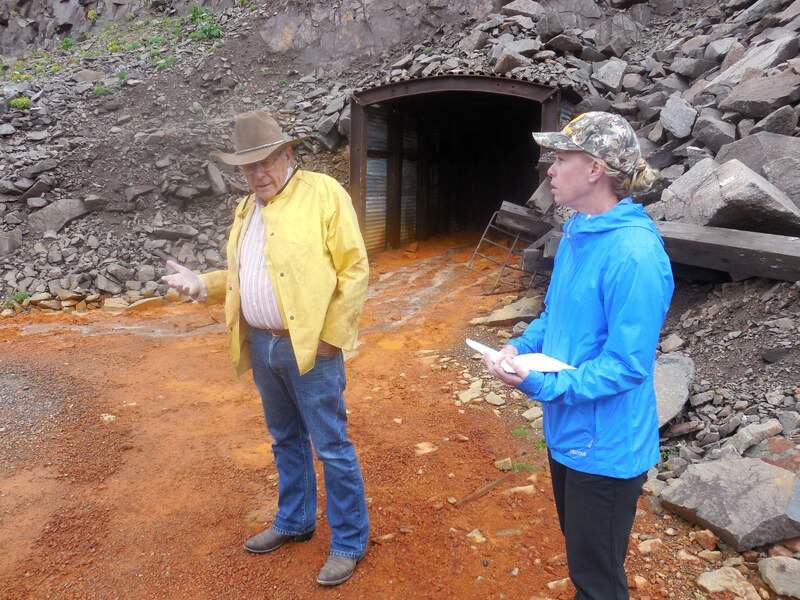 In fall 2016, the Bonita Peak Mining District Superfund site, which encompasses nearly 50 mining-related sites throughout the Animas watershed, was officially declared a Superfund site. Fearn was named in a lawsuit filed by New Mexico over the spill. He was not considered a “potentially responsible party” – a term the agency uses for people or companies it regards as financially responsible for a cleanup, the EPA said Monday. Fearn also served on numerous water-related boards. He represented San Juan County on the Southwestern Water Conservation District for 22 years, serving 10 of those years as vice president. Butler said Fearn is credited for getting the water conservation district to fund projects that would improve water quality. He also served on the working group that eventually produced the Hermosa Creek Watershed Protection Act. Fearn was ousted as a representative, however, by San Juan County commissioners in February 2017 after they said Fearn’s representation no longer reflected the county’s values. Whitehead said Fearn was named a director emeritus despite being replaced on the board. Edwards said more information will be forthcoming on a memorial service to be held sometime in May.